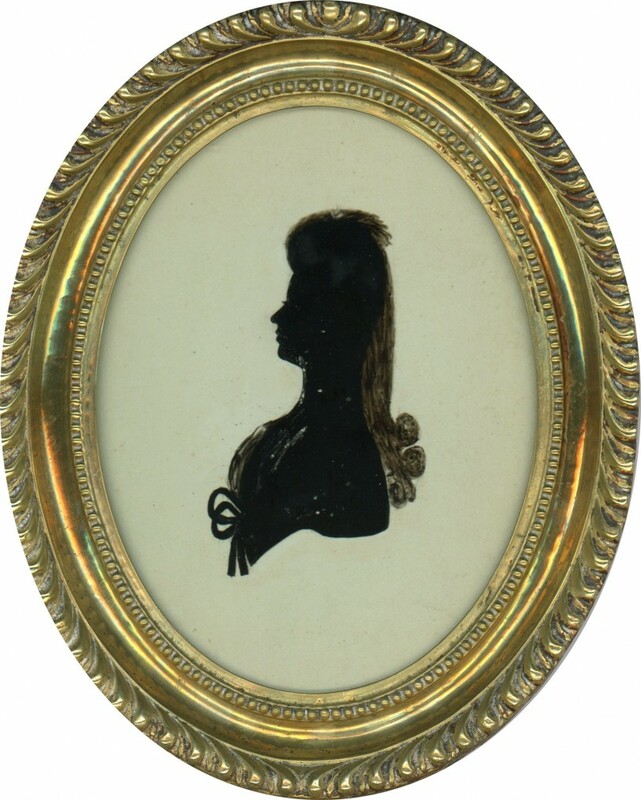 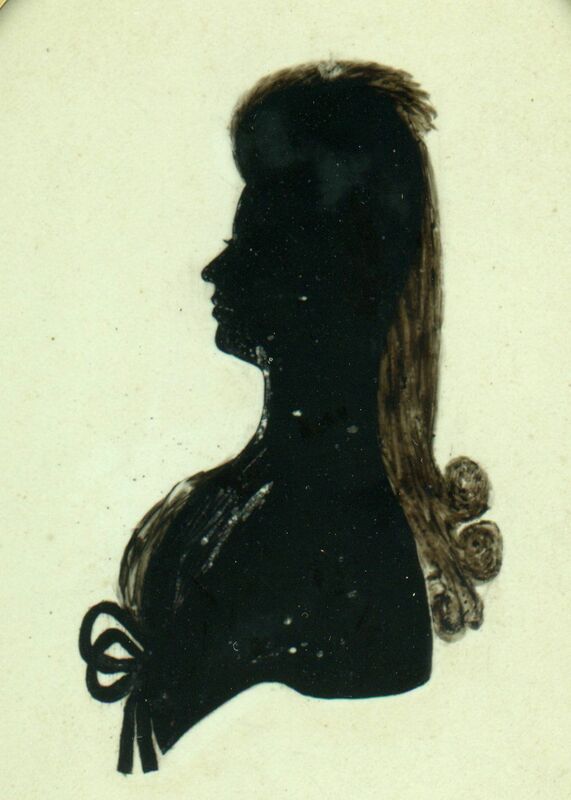 One of a series of royal profiles painted by Charles Rosenberg, this depicts Princess Mary (1776-1857), the fourth daughter and eleventh child of King George III and Queen Charlotte. 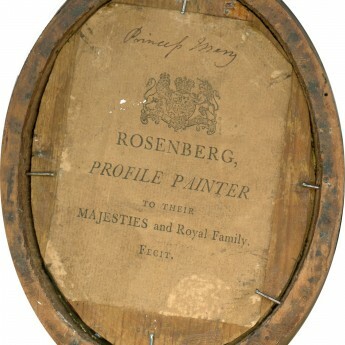 It was painted around 1786 when the princess was just twelve years old. 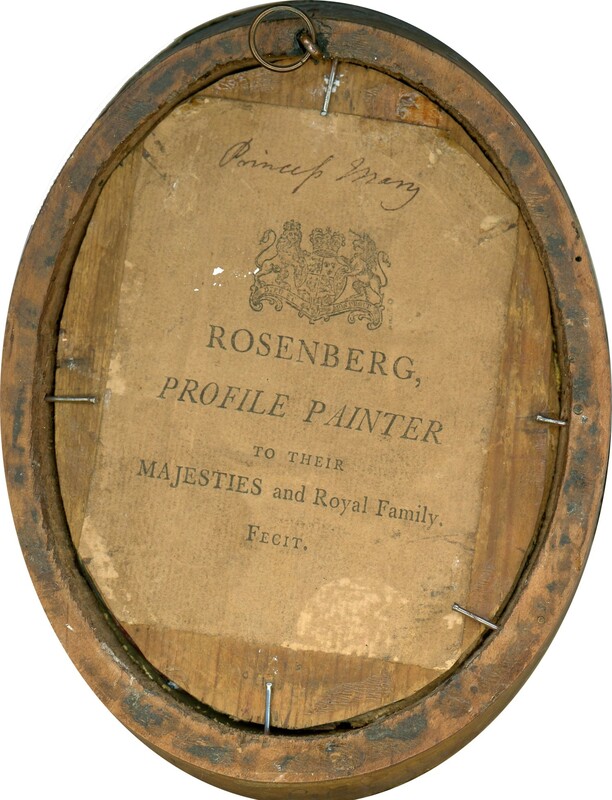 This is one of Rosenberg’s larger-sized head and shoulders profiles reverse painted on flat glass and housed in the original hammered brass-fronted frame backed with the artist’s trade label no. 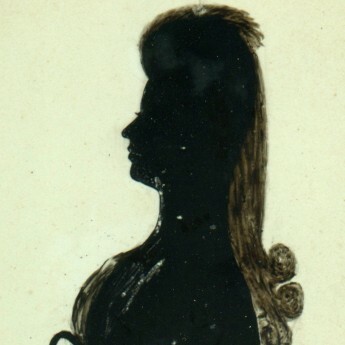 1 that was in use during the late 1780s.